Discover the mystery and miracle of Christmas with this board book edition of The Legend of the Christmas Cane. When a stranger arrives in town, everyone is curious to discover what he is doing---is he a doctor, or a tailor, or a merchant? 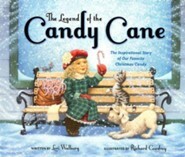 When little Lucy extends her help, she finds out the identity of the man and learns the legend behind the candy cane. Will Lucy teach her town the important meaning behind the candy? 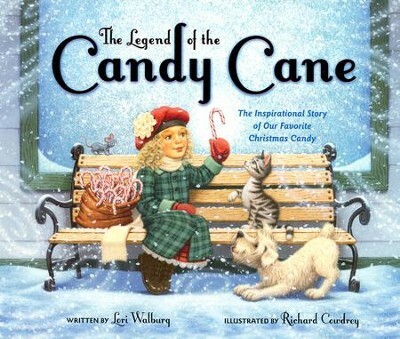 Introduce little ones to a beloved story in The Legend of the Candy Cane board book edition. 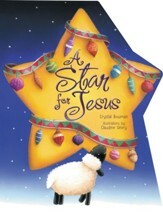 Adapted from the picture book illustrated by New York Times bestselling artist Richard Cowdrey, the youngest child can now discover an inspiring story of hope that reveals the Christian symbolism of a favorite Christmas candy  the candy cane. Richard Cowdreys favorite things to draw and paint are the things that reflect the awesomeness of God and His creation. From vast landscapes to the littlest bug on a leaf, Richard marvels at the beauty in the details. 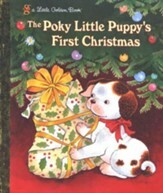 Richard's bestselling children's books include Legend of the Candy Cane, Bad Dog, Marley and A Very Marley Christmas. 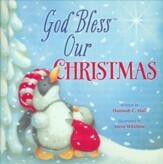 I'm the author/artist and I want to review The Legend of the Candy Cane (Board Book).